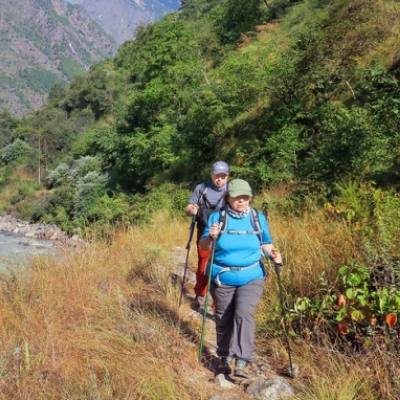 Gosainkund and Langtang Himal Trekking where Explorer Adventure leads you to most fascinating destination around Langtang Himal range of mountains, just a North from the capital Kathmandu the closest mountain range of 32 k.m. Aeronautical distances or as crow fly. Gosainkund and Langtang Himal Trekking, a moderate to adventurous walks on pleasant and scenic trails heading into high rolling green hills covered within rich vegetations and tall trees of rhododendron-magnolia-hemlocks-oaks and pines where endangered wild animals makes homes like the elusive snow leopard and rare Red Panda with other mountain animals including exotic bird life. The area of trekking leads you into famous Langtang National Park, the first park of Nepal around mountainous region ever to established in mid 1970s with an area of 1,710 sq.kms includes farm villages of Tamang people with green forested land with high snow capped peaks that touches the border of Tibet-China. 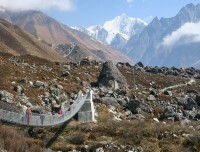 On this wonderful journey exploring indigenous culture and traditions of Tamang hill tribe of great interest, as walk leads you into beautiful scenic Langtang valley at Kyanjin Gompa and towards holy Gosainkund glacial pond, a sacred spot for both Hindu and Buddhist religions where great fair takes place once a year with thousands of pilgrims visits for a holy bathe and a dip in the pond of Gosainkund. 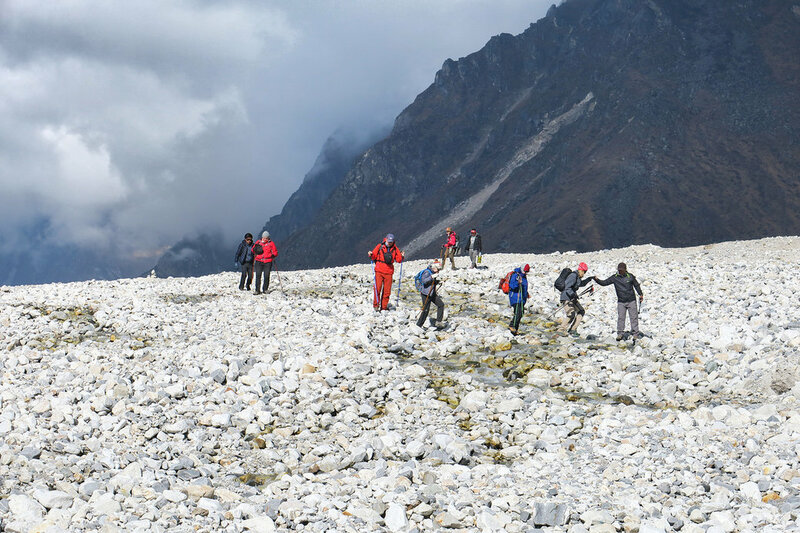 To begin this marvelous journey Gosainkund and Langtang Himal trekking taking an exciting overland drive to reach cool and high areas of Langtang Himal at Rasuwa district around native land of Tamang tribe with strong hold of Buddhism religion and culture. Starting first day walk after the drive heading into a river gorge within deep green forest to reach a wide and scenic Langtang valley at Kyanjin Gompa facing tremendous panorama of high peaks of Langtang and Jugal Himal with some peaks of Tibet like Shisapangma, after glorious moment heading towards our next adventure at holy Gosainkund a glacial pond. Enjoying time at holy Gosainkund where religious festival takes place in the month of August as per Hindu and Buddhist Lunar calendar, here one can witness the traces of offering around the lake side a tranquil spot of great religious significant. 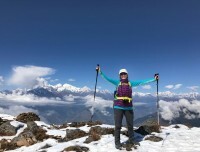 From Gosainkund on high ridge over a scenic pass of Gosainkund or east Laurabinya-La above 4,609 m to reach north eastern side of Kathmandu valley rim at Sundarijal with fantastic views of sunrise over array of peaks from Chisapani. Our great adventure completes with short drive to your hotel in the hustle and bustle city life at Kathmandu, after a fantastic journey of a life time experience on Gosainkund and Langtang Himal Trekking. 1 Day 1: Arrival in Kathmandu and transfer to hotels.On reaching Kathmandu Tribhuwan International Airport where you will be warmly received by our guide and staff and then transfer you to your respective hotels in the hub of Kathmandu city. 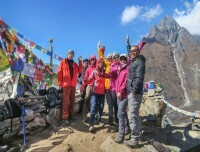 First check into your hotel rooms on getting refreshed from the flight and with Jet-Lag, then join with other members of Gosainkund and Langtang Himal trekking for group briefing, where our expert guides will inform regarding your stay in Nepal, hotels, trekking, local lodge and overland drives with do’s and don’ts information, evening welcome group dinner in authentic Nepalese restaurants with Folk cultural programs to entertain you during your meals. 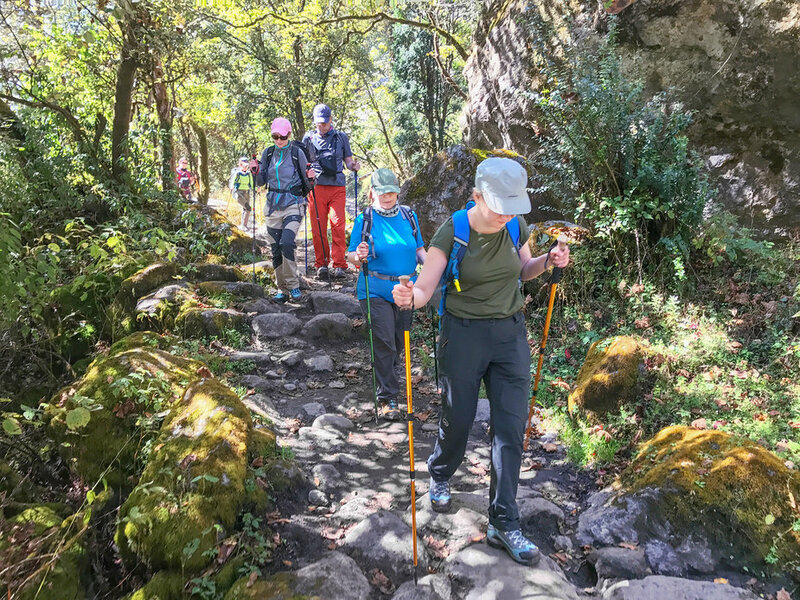 7 Day 7: Rest day for acclimatization and for hike around.At leisure and a rest day with time to explore a small Cheese factory or walk up to Tsego-Ri or Kyngin Ri at above 4,700 m / 15,420ft adding more heights of the adventure offers stunning panorama of snow capped mountains. 9 Day 9: Trek to Thulo Syabru village 2,118m -05 hrs.The trek today follows the same route for an hour, then after the bridge the walk is pleasant through the rain and bamboo forest, after leaving the river way down below, the climb starts uphill through the landslide bit of rocks and boulders, passing through farm terraces to Upper Syabru is reached also called Thulo Syabru means bigger, the village with row of houses located on a ridge with a monastery. 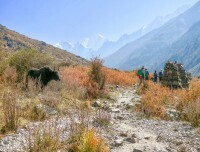 10 Day 10: Trek to Singh Gompa 3,254m or Chandanbari - 05 hrsMorning walk leads uphill on winding path above the monastery and then gaining more height facing views of Ganesh-Himal, Manaslu, Langtang and Annapurna range towards far west, after a few refreshing stops at teahouses on route, journey continues with an hour uphill from the farmlands and into cool alpine forest and then reaching at Sing Gompa for overnight stop near its old monastery. 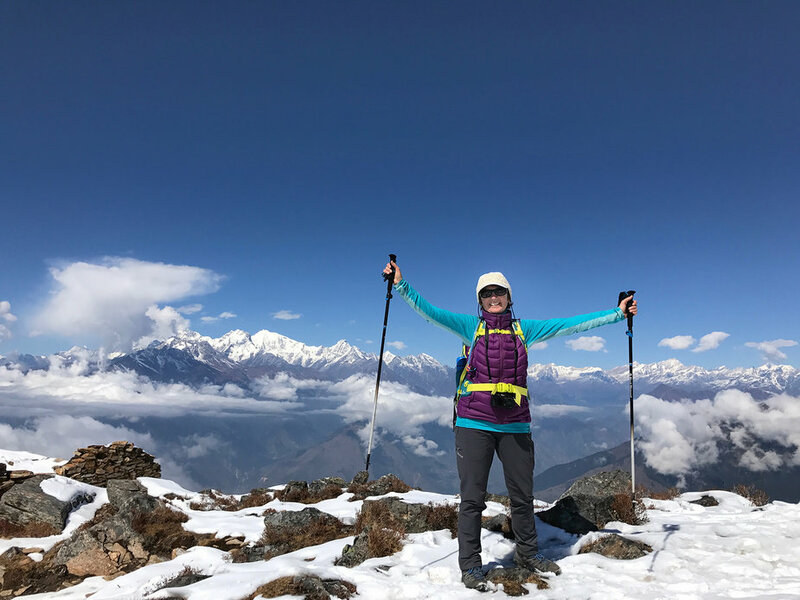 11 Day 11: Trek to Gosainkund 4,381 m - 05 hrs.Walk today from Singh Gompa offers more superb views of Langtang Himal range and Ganesh-Himal towards north west with Manaslu and Annapurna range, as the path leads with gradual up for an hour entering oaks, pines and rhododendron forest, after a brief stops with grand views, walk continues on uphill trail leaving tree lines and green vegetation behind for dwarf rhododendron, juniper and alpine shrubs bushes. The path unwinds uphill passing through few teahouses at Laurabina, means a place with walking sticks, (on auspicious time in August with full moon as per the Nepali Luna calendar, the pilgrims visits Gosainkund pond for ritual bathe and dip belief it delivers one into paradise and drink of its holy water relinquishes the sins of a hundred lifetimes). From here short descend and up across Saraswati and Bhairab kund brings you to overnight stop at Gosainkund near its holy pond. 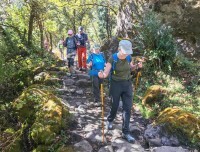 12 Day 12: Trek to Ghopte Odar 3,566m via Gosainkund pass or Laurabina-La 4,609 m.From Gosainkund a gradual walk along the lake and then climb near a small creek in between rocks and boulders, as the walk leads close to a small pond of Surjakund the trail here is more gradual with winding up to Gosainkund pass or East Laurabina La the highest spot of the adventure. After the top, a long descend to Phedi (bottom) at 3,694 m few teahouses, a possible lunch stop and then our journey continues east towards Helambu region and back into green vegetations of junipers, rhododendron and then reaching at Ghopte (meaning overhanging rocks) for overnight stop. 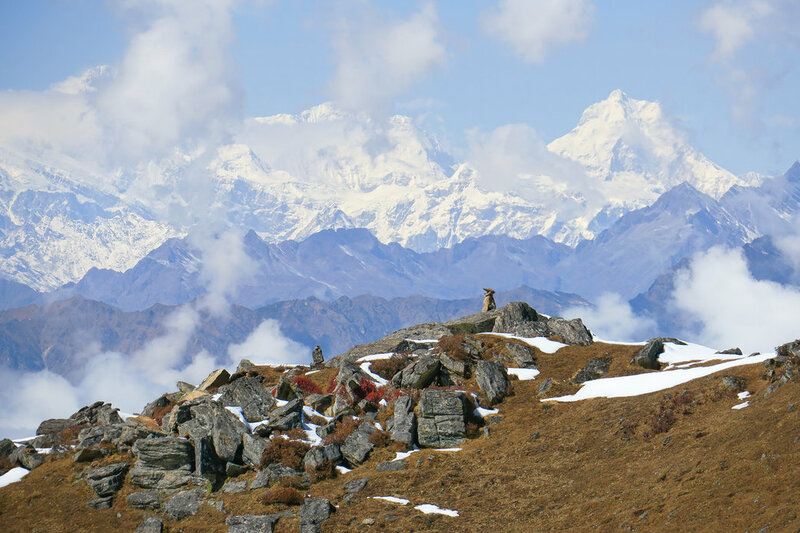 13 Day 13: Trek to Kutumsang 2,445m via - 06 hrs.After walking in complete wilderness, from here where trail joins to Helambu and Kathmandu; trek is pleasant into forest for an hour, with an hour uphill to Tharepati 3,597m. A nice spot situated on a ridge overlooking views of peaks with Jugal Himal range and Ganesh-Manaslu towards west. 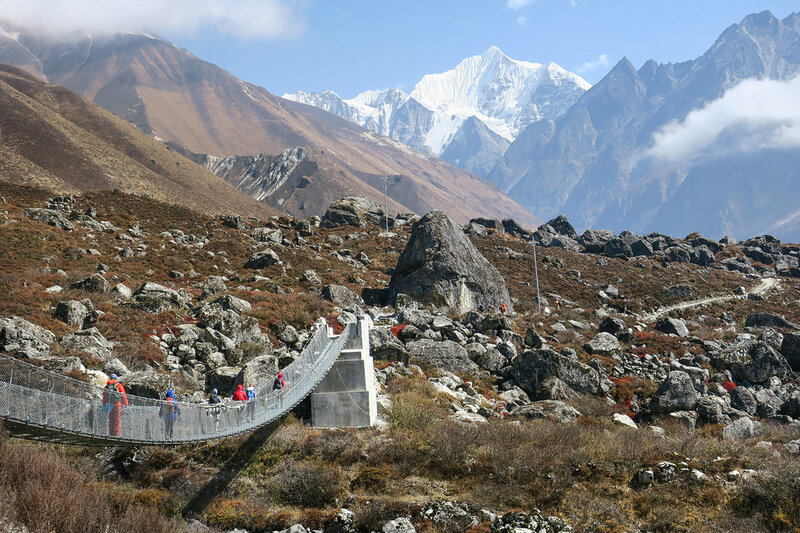 From here descent to Mangeghot, a nice place with grassy field, with an Nepal Army Barrack from here walking back into farm fields and to Kutumsang for overnight stop, this village with Sherpa, Hyalmo and Tamang hill tribes. 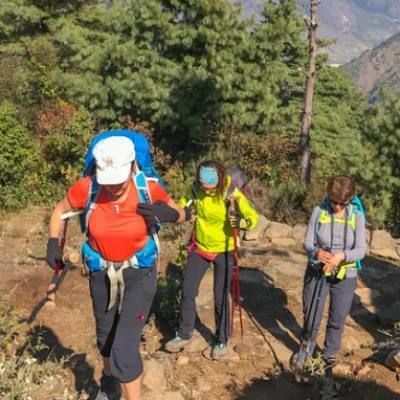 14 Day 14: Trek to Chisapani 2,195m via Gul Bhanjyang 2,125m - 07 hrs.Today a long day walk to scenic Chisapani, as the morning leads on winding path with few ups and downhill walks passing many rural farm areas and villages to reach at Gul-Bhanjyang located on a ridge top. After a refreshing break continues walk on nice and pleasant trail past farm villages to reach at a nice Pati Bhanjayang village, from this village with short climb to our last overnight stop at Chisapani, a scenic spot and a small village which is close to northern hill of Kathmandu Valley rim. 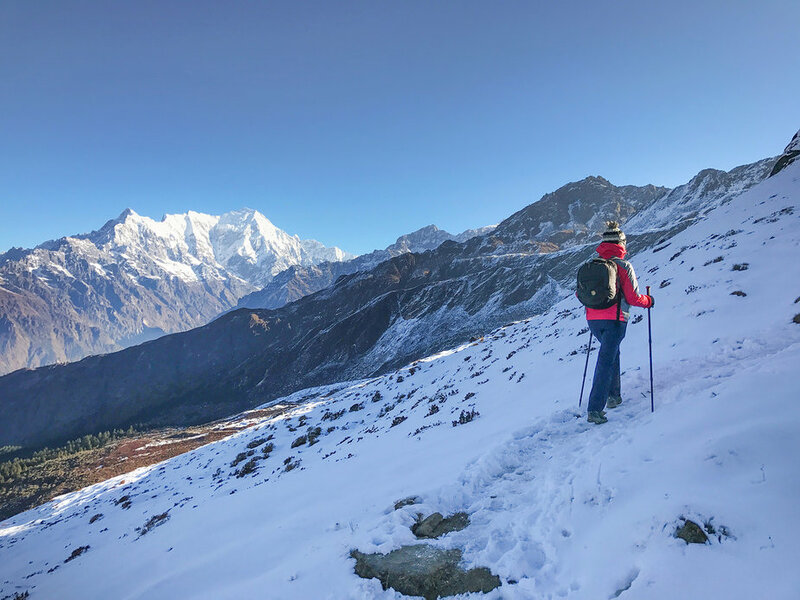 A picturesque spot rewards you with stunning sunrise views over range of peaks from Jugal Himal range towards north east and Ganesh Himal-Manaslu and Annapurna range towards west. 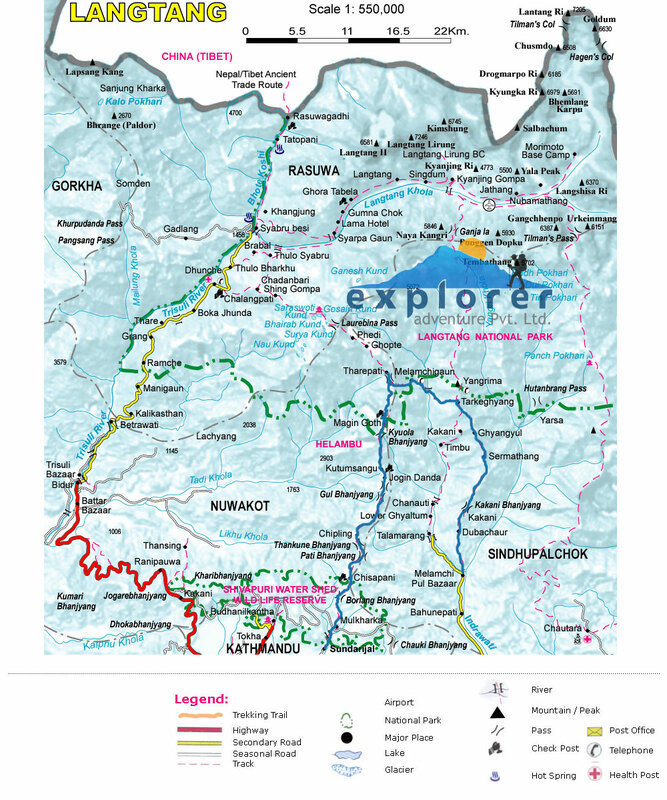 15 Day 15: Trek and drive to Kathmandu from Sundarijal 1,560 m - 4 hrs walks and 1 hr drive.Last day trekking of wonderful adventure as morning walk leads into lovely forest and farmlands and then heading to a ridge top of Burlang and Chepu Bhanjyang at 2,438 m high with views of Kathmandu Valley, from here descend to Sundarijal (which means beautiful water) a lovely spot with cool patch of forest with monkeys and fresh streams. Sundarijal, a small farm town from here drive back to Kathmandu after an enjoyable and great moment on Frozen Lake Gosainkund Trekking, as the drive leads past Jhorpati and Bouddhanath following the busy city road for some times and then back to your hotel in Kathmandu. Afternoon free at leisure for shopping souvenirs, evening farewell group dinner in nice Nepalese restaurants with Folk culture programs as entertainment. 16 Day 16: Depart for international flight home ward bound or to respective countries.Your last memorable day in Nepal after a great wonderful experience on Gosainkund and Langtang Himal trekking with great service of Explorer Adventure, and as per your international flight then transfer to Kathmandu international airport for homeward bound or to your respective destinations. 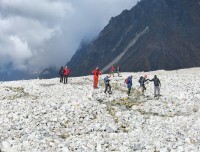 Highest elevation gain: At Gosainkund Pass and Laurabinya-la 4,609 m /15,100 ft.